Cosleeping has many benefits such as fostering attachment between you and your new baby, making night feeding easier and being able to monitor your baby more closely. It’s been found that the co-sleeping mom and baby get more sleep. 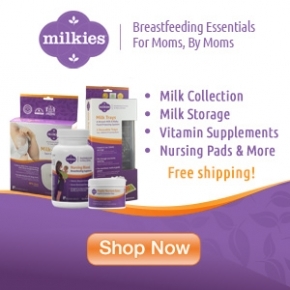 Frequent night feedings increase milk supply in the breastfeeding mother. It has also been found that co-sleeping reduces the risks of SIDS by up to 50%. All that paired with waking up to your smiling baby makes for a great case to co-sleep! However, as great as it sounds, many families struggle to find a way to co-sleep that works for them. We all have different preferences, sleep patterns, work schedules, bedrooms and expectations. My family went through about six different sleep set-ups before we landed on what worked for us. And then when my second son was born we went through it all again. The Sleepod by Askr & Embla was designed to create a safe co-sleeping option for you and your baby. The Sleepod keeps baby cozy and safe next to mom. The sides are completely breathable and soft enough to allow mom to nurse in a relaxing side-lying position. The Sleepod was designed with all of the safe co-sleeping guidelines in mind. Are we not in love with this thing yet? Well I’m not even half way done yet. The Sleepod has many uses beyond co-sleeping. It doubles as a baby lounger when you need two hands and a place to set baby down; it’s great for napping, supervised tummy time, as a travel cot or a supportive backrest for breastfeeding and relaxing with your baby. It’s portable enough to go easily with you anywhere in the house and beyond. Slip it in the bag take in on trips to hotels, the beach or grandma’s house. Baby is safe, secure and cozy. It provides a soft and tender hold to baby that mimics the womb. The Sleepod turns your adult bed into a baby-safe bed. And it grows with your child. The adjustable straps close all the way for small babies and open up for their growing legs while continuing to offer its soft bedrails to prevent your child from rolling out of bed or ending up upside down, sideways, feet in your face or any other family bed mishap. Did you know that you actually do see stars when hit in the face? I know this because I share a bed with a 5 and 2-year-old! The Askr & Embla website is designed to answer all of your questions and concerns about the set up, maintenance and safe use of the Sleepod. 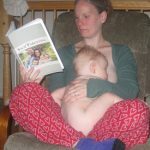 You will find information about safe co-sleeping and the benefits of sleeping near your baby during the postpartum time. Sleepod was developed by parents, midwives and doulas. Sleepod is made in the USA using organic, toxin-free and hypoallergenic materials that are safe and soothing for your baby. The cover and pillow are machine washable. And the Sleepod comes in several beautiful colors to choose from. Sleepod is going to revolutionize co-sleeping for many families. This genius little invention adds a ton of practicality and fun to your home. This just may be your newborn must-have! As a gift to you we would like to offer 10% off your purchase of the Sleepod by entering promo code BADASS during checkout. And you can comment on the Facebook post of this review to be entered to win a Sleepod! Be sure to follow Askr & Embla on Facebook and Instagram. Co-sleeping is the natural way for mammals (including humans) to nurture their young. Co-sleeping with a healthy full term baby is considered very safe but It is always good to practice common sense. Make sure to keep babys sleeping area free from pillows, heavy blankets and stuffed animals. You should NEVER co-sleep with infant if you smoke, have consumed alcohol, drugs or in consume medications that can affect sleep/ability to react. It is also not recommended to co-sleep together with older kids and or pets in the same bed as an infant.